The only Indian team to have made the AFC cup finals were sure to be impressive against any side in the subcontinent. But it was always a “What if” question and the talk has been finally put to bed. The former I-league champions put up a very impressive performance against last season’s table toppers. They announced their much delayed arrival with a bang on performance and clearly had the neutrals questioning why they weren’t there earlier. West block blues were in full strength to mark their historic occasion. 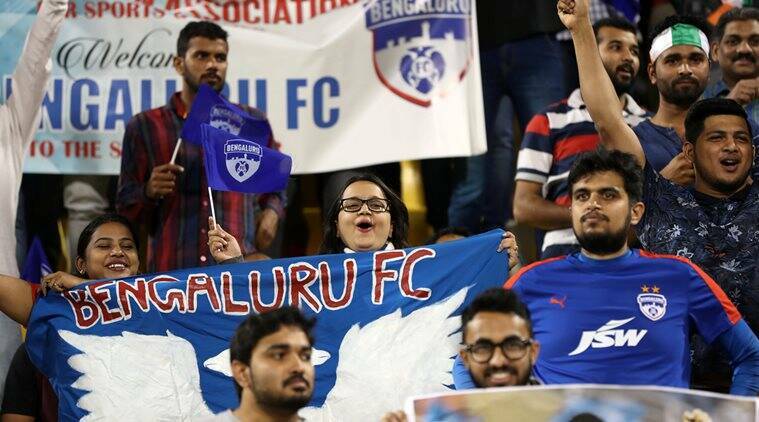 Bengaluru has one of the most amazing set of fans across the country and they clearly made a case for themselves with impressive attendance on the opening night. 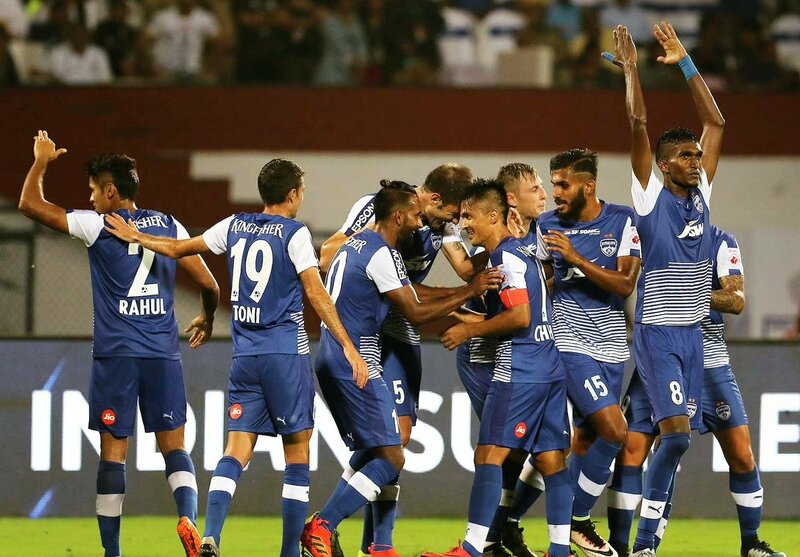 Bengaluru FC fans were vocal throughout the match and clearly showcased why they should have been part of the tournament from the very first edition. Bengaluru FC fans were on action even before a ball was kicked as they booed the Kerala Blasters in AFC cup match. Whether it was a friendly banter or a mount up frustration of not being the centre of attention despite their team’s on field success is yet to be seen. But the Bengaluru fans have clearly made their presence on the stands confirm their status as India’s premier club and fans. 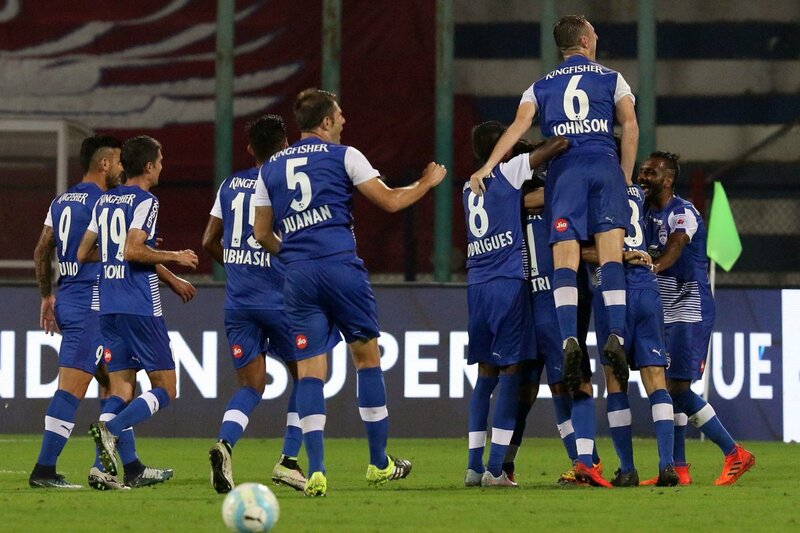 Bengaluru FC has made a belated entrance into the cash rich Indian Super League. There was a team expected to be present in ISL from Bengaluru in the very first season. The team was named the Bengaluru Titans and was owned by the Sun Group. They allegedly had a tie up with Bengaluru FC which would have allowed the JSW group to own 50% stake in the Titans. IMG-R didn’t like the idea, while the JSW wanted the best of both cherry; they were made to wait for another two years to make their entry in the premier football competition. BFC have some stellar names in their ranks but it was ultimately their team spirit and coalescence that come from playing together for long time that took them through in their match. ISL has been guilty of encouraging star names over quality foreign signings and the team from the Silicon Valley of India are all set to be the example for the rest of the nation.